Qualifications: First Class M. Sc in Electronics/ Electronics & Communication / Applied Optics/Physics Or B. Tech. in Optoelectronics/ Applied Optics or in comparable subject –rather GATE skilled. Qualifications: First Class M. Sc in Electronics/ Applied Optics/Physics with two years knowledge M.Tech. in Optoelectronics/Applied Optics or in comparable subject with one year knowledge. HOW TO APPLY: Concerned candidates are requested to go to the interview on 9th August, 2011 at 11.00 A.M. at CGCRI and carry applications addressed to Director CGCRI, Kolkata giving full Resume (including person's name, father’s name, date of birth,educational skill, experience, permanent and current address with phone number, E-mail etc.) along with one self attested copy of each marksheet and certificate. The original certificates also should be brought for proof. Qualifications: First class M.Sc. grade in any discipline of Life Science from a renowned University/Institute. 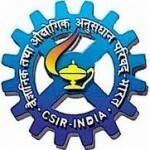 First choice will be agreed to those who have cleared NET (CSIR/UGC)/NET(LS). Research knowledge: Prior knowledge in bacteriophage propagation, gDNA segregation from bacteria and bacteriophages, plasmid preparation, enzyme assays, protein refinement and enzyme assays, transformation and competent cell preparation is greatly enviable. Qualifications: First Class in BE/B.Tech or comparable in Mechanical Engineering / Aerospace Engineering / Engineering Physics. Qualifications: First Class in BE/B.Tech or the same with two years of applicable knowledge or ME/M.Tech in Mechanical Engineering/ Aerospace Engineering / Engineering Physics. HOW TO APPLY:- Concerned candidates may walk-in on August 04, 2011 at 09.30 a.m. with an request in the approved format appended, with new passport size photograph and original and proved copies of certificates and testimonials in evidence of Age, prerequisite and Community (for SC/ST/OBC).